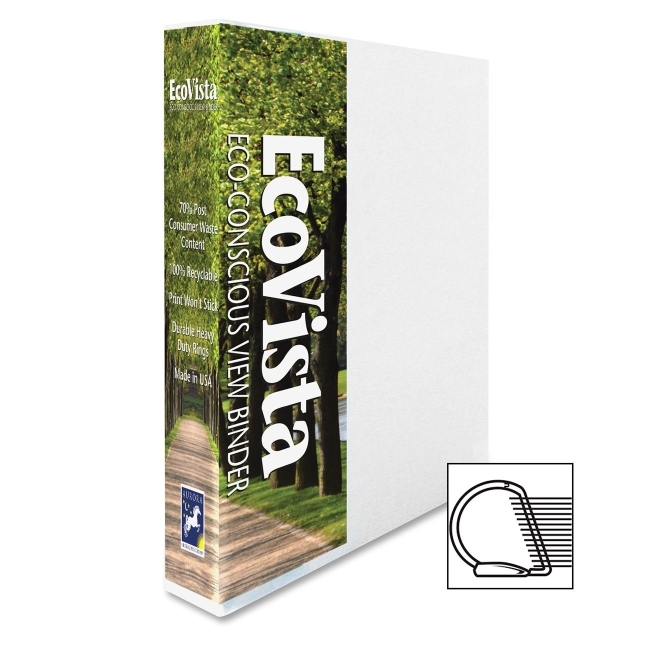 Eco-conscious, D-ring view binder offers an easy way to customize your presentations without wasting any excess paper. Ultra-clear, wraparound, polypropylene pocket on the spine fits a standard, letter-size sheet of paper for easy customization so you can print just the paper you need. With a 1" capacity, heavy-duty, three-ring mechanism inside the nontoxic binder secures letter-size documents. Two inside pockets on the back and front covers provide additional storage for loose documents. Inside pocket on the front cover is die-cut for your business card. EcoVista Binder also features exposed rivets and recycled, heavy-duty, paperboard core covered with 100 percent, landfill-safe polypropylene.